Cuprite is a secondary mineral formed by the oxidation of copper sulfide veins. 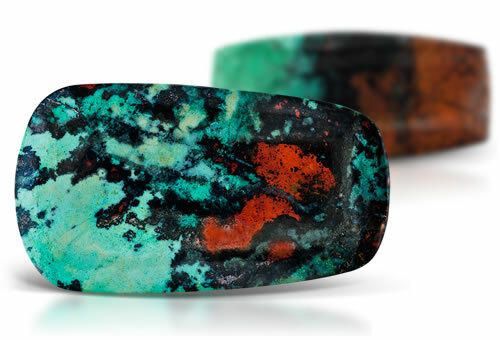 It is commonly found with native copper and malachite, and forms as both transparent red and lustrous, submetallic crystals. Transparent crystals may be faceted if large enough, but specimens are also commonly displayed as a glittering bed of crystals.